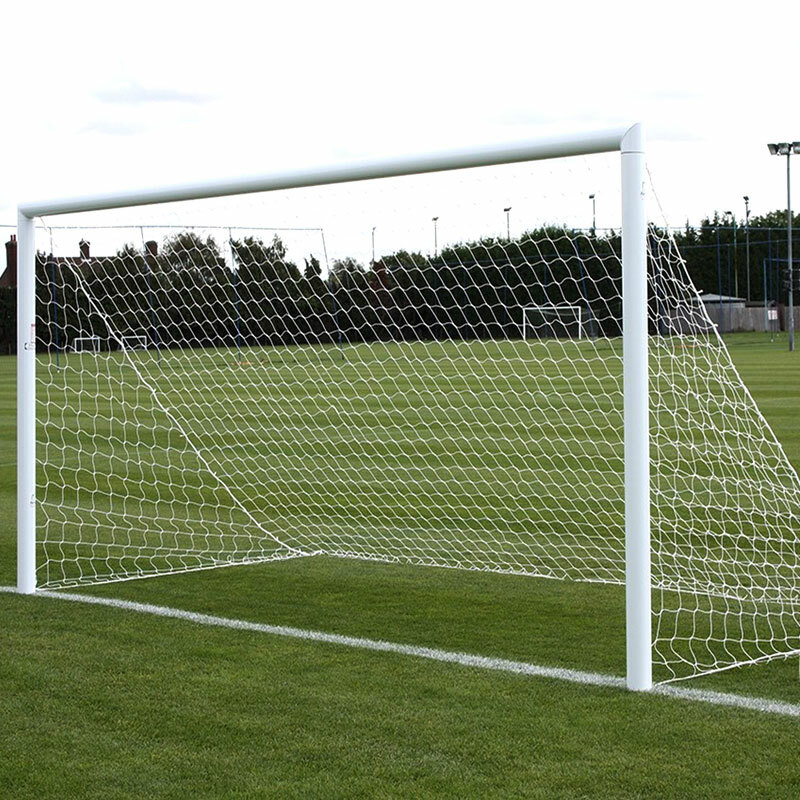 The Harrod Sport ® 9 v 9 3G Lock Socketed Park Football Posts 16ft x 7ft with Locking Socket Lids have been designed and manufactured for clubs and ground staff that regularly assemble and remove football goal posts from shared or public pitches. 2 x Socketed Aluminium Goal Posts 16ft x 7ft. 4 x sockets and Locking Lids supplied with 1 Allen Key. 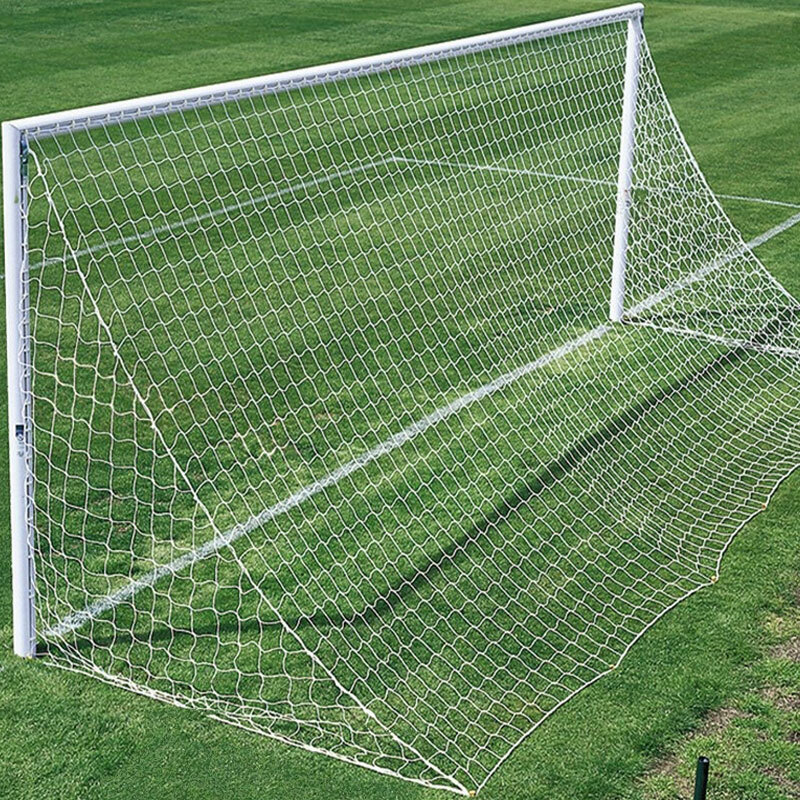 1 x Socketed Aluminium Goal Post 16ft x 7ft. 2 x sockets and Locking Lids supplied with 1 Allen Key. Easy to assemble by two adults. Heavy duty latch mechanism provides a quick method of securing the posts and crossbars. Lock on synthetic net hooks make attaching the net effortless. Comes with lockable, flush fitting aluminium socket lids. Allen key operated locks with plastic dust cover. 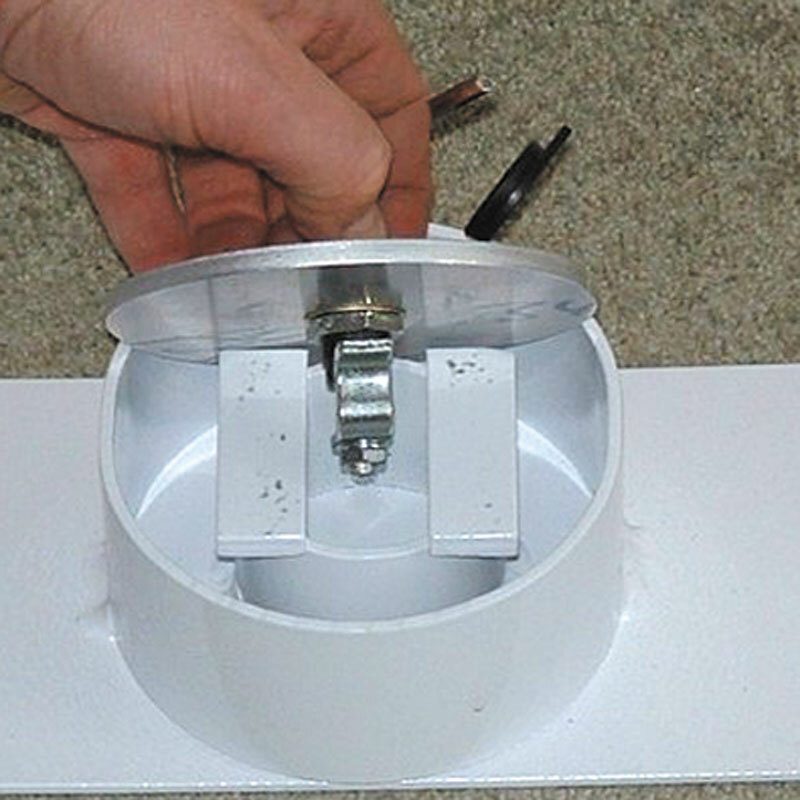 Locking lids supplied with one allen key. 4.88m x 2.13m (16' x 7') - 71kg per pair, 35.5kg per single.